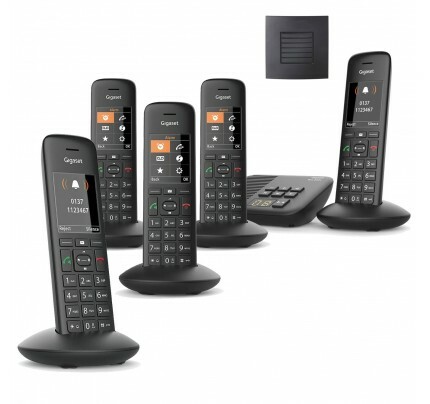 This set of long range cordless phones includes the Gigaset C620A Quint along with an RTX DECT repeater. Setting up the range extender is straightforward when you follow or quick-start guide or video tutorial, and the C620A offers ease-of-use, practical features, and excellent sound quality making these an excellent choice of phones for larger homes. 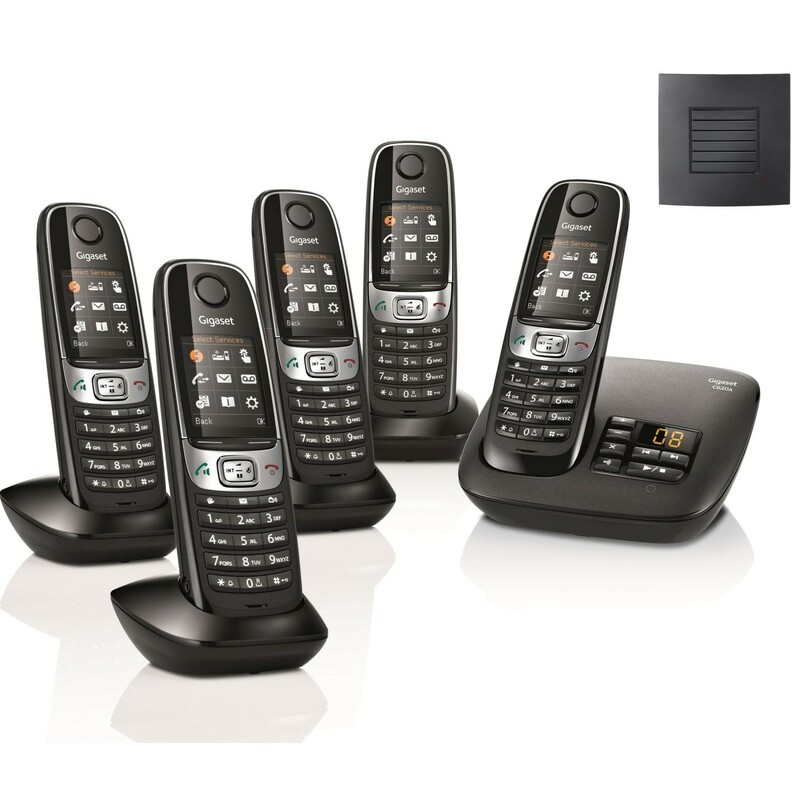 If you’re looking for a set of 5 premium quality DECT phones for the home, which will provide reliable range, great sound quality, and practical features then look no further.